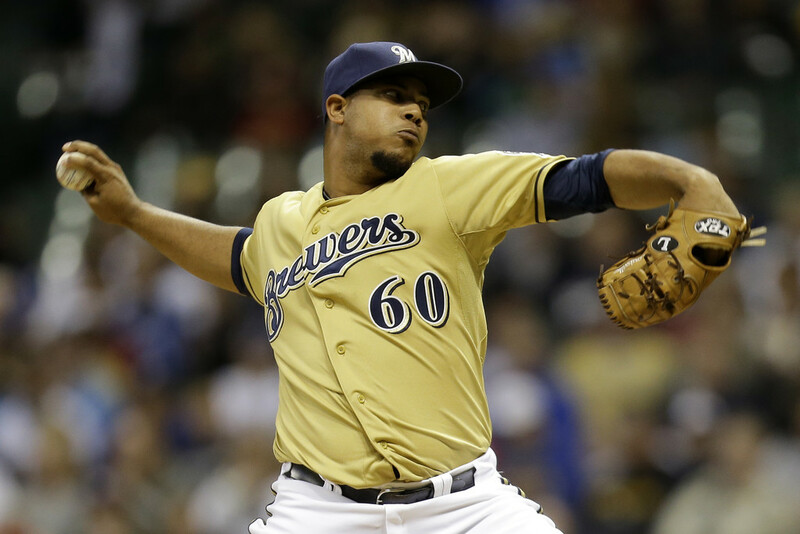 The Milwaukee Brewers have acquired third baseman Juan Francisco from Atlanta for left-handed minor-league pitcher Thomas Keeling. The announcement was made by President of Baseball Operations and General Manager Doug Melvin. Francisco, 25, is a career .254 hitter with 19 HR and 77 RBI in 209 games with Cincinnati (2009-11) and Atlanta (2012-13). He batted .241 (26-for-108) with 5 HR and 16 RBI in 35 games this season with the Braves, making 31 starts (29g at 3B, 2g at DH). He was designated for assignment on May 30. Francisco will wear uniform #21 and is expected to report to the team tomorrow. Keeling, 25, was selected by Milwaukee in the 18th round of the 2010 First-Year Player Draft. He was 0-1 with a 3.18 ERA and 1 save in 17 relief appearances at Double-A Huntsville this season. In other transactions, the team has asked for waivers for the purpose of the unconditional release on infielder Alex Gonzalez, who batted .177 (20-for-113) with 1 HR and 8 RBI in 41 games this season with the Brewers, making 27 starts (16g at 1B, 9g at 3B, 2g at SS). In addition, second baseman Scooter Gennett has been recalled from Triple-A Nashville (50g, .297, 1hr, 13rbi, 8sb). He will make his Major League debut and wear uniform #2. To make room for Gennett on the 25-man roster, right-handed pitcher Mike Fiers was optioned to Nashville. Let’s get to the point because you’ve all been patient while I waited for my son to go to sleep on his 3rd birthday before sitting down long enough to actually blog. From the same source that allowed me to be the first to bring you the news that the Brewers were talking contract with Francisco Rodriguez, comes this little nugget. This happened. I am in no way saying that anything else happened yet. I’m not guaranteeing that it will lead anywhere at all. I’ll tell you what happened and where I think it could lead and why, but I am not saying that my source told me reasons around this rumor at all. I asked which one and was told, “Alex”. So there you have it. The Yankees, who aren’t expected to welcome Derek Jeter back to the lineup until around the All-Star break, are exploring at least one option to bolster their depth chart at the shortstop position. If I were Brian Cashman, I certainly wouldn’t very happy with Jayson Nyx (misspelled on purpose) as my primary infield back up. Gonzalez has shown his newly-added defensive versatility as well which could be very enticing to Cashman as a cheap upgrade. 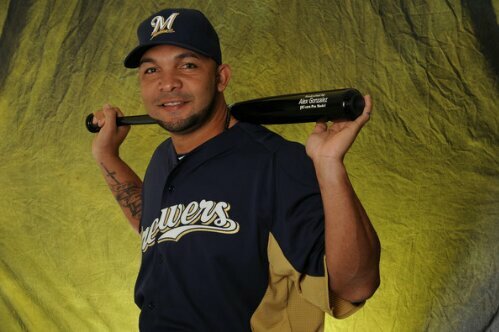 Be honest, at this point it probably wouldn’t cost a whole lot to acquire Gonzalez from the Brewers. He’s playing out of necessity more so than because he’s playing particularly well. Still, even though an initial inquiry was made, this doesn’t feel like something that would happen until, at the absolute soonest, Jeff Bianchi or Aramis Ramirez was ready to come off of the disabled list. I have no idea what Alex Gonzalez would fetch in return at this point, but that’s why I’m not working in a front office. Also, I have no concept of low-to-mid-level minor leaguers in the Yankees system. 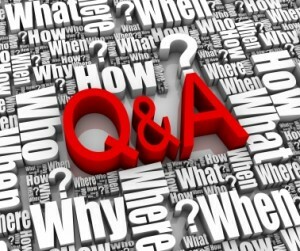 That all being said, I have no knowledge of what if anything was said as a reply by the Brewers. Still, I wanted to pass this along tonight. So, what do you think? Would you? Why wouldn’t you? We’re down to 11 days before Opening Day at Miller Park on April 1st. 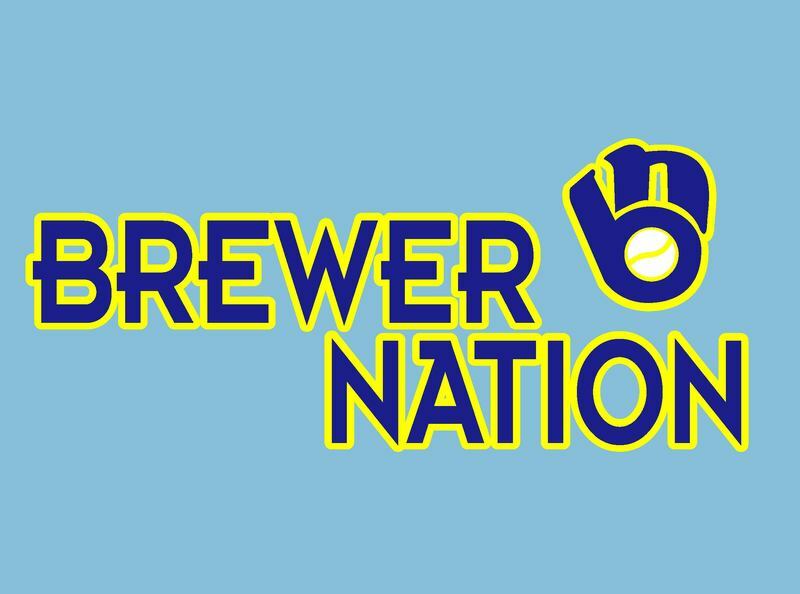 There are just a Marcus-Hanel-sized handful of profiles remaining in this year’s “Brewers By the (Jersey) Numbers” countdown series. Today’s profile has a short back story on a personal level which you might not care about, but since you’re already here I’m going to share it. I make a list at the beginning of the series to keep track of which profiles I’ve already done along with having the spreadsheet calculate the days for me so I know I’m not miscounting along the way. Well, when I was putting 2013’s list together I started by copying last year’s list, changed Opening Day, and then deleted players who were no longer on the team. Kameron Loe, Francisco Rodriguez, Manny Parra, Shaun Marcum, Cesar Izturis, Zack Greinke, Nyjer Morgan, George Kottaras, and more…they all fell to the delete key. The thing was, I never did delete the name next to #11 on the list. What a difference a year — more or less — makes. With 11 days to go before Opening Day in 2012, I was touting the defensive mastery of the Milwaukee Brewers’ new starting shortstop. I was trumpeting not only the departure of Yuniesky Betancourt, but more so that a superior player was coming to the team in his place. A player touted by veteran broadcaster Jim Powell as the best defensive shortstop he’d ever seen play on a daily basis. It was truly a great day to focus on a good acquisition. Then May 5th happened. Alex Gonzalez slid late into second base and his knee buckled under the pressure of the impact. Torn anterior cruciate ligament in his right knee and his season was over. 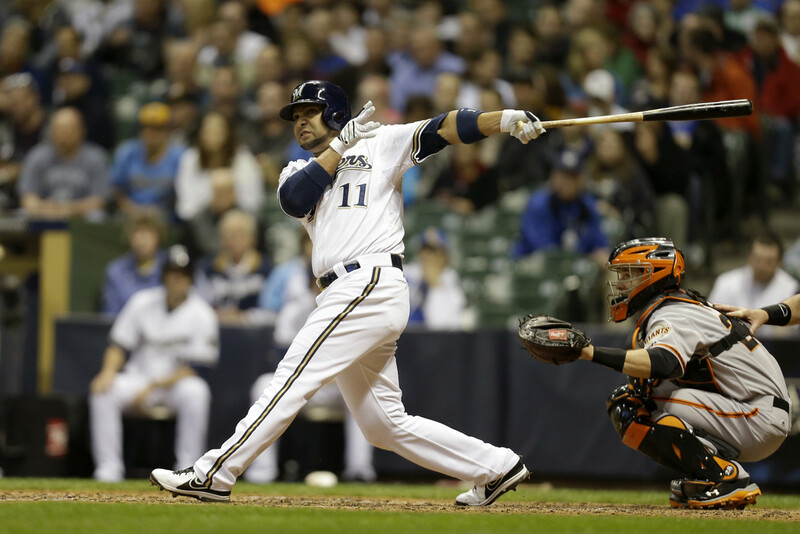 He rehabbed following surgery and even sat in the dugout for a few games in September late last year, but never played again for the Brewers before his contract expired. He wanted a starting shortstop job but couldn’t find one so he eventually agreed to come back to the Brewers to presumably back up Jean Segura at shortstop. That wouldn’t be nearly enough change. No, instead Gonzalez is not only the primary backup at short, but will also be expected to play second base and third base at times throughout the year. Furthermore, Gonzalez could very well be the primary starter at an infield position, but instead of shortstop, we’re now talking about first base. First base, a position which isn’t quite as easy as many casual observers would have you believe, and a position which Alex Gonzalez has never played in his entire, long MLB career. To watch Gonzalez defensively though, that same casual observer would be hard-pressed to identify flaws in Gonzalez’ game at his new primary, if short-term, position. He has been stretching well on throws, picking up the footwork far more quickly than Mat Gamel did over there, and has been demonstrating an understanding of the nuance of the position like where to be on cutoff throws and the like. Last year, Gonzalez came to camp with a defensive reputation and offensive question marks. “Could he hit enough?” “Would he hit better than his career averages because of Miller Park?” The sample size was too small to know for sure, but the amount of pop in his bat surprised many fans. Yeah, he’ll strike out a lot and not walk much, but his role at the plate over the next few weeks will be that of run producer, not table setter. I think he’ll be just fine. And the Brewers could use a little bit of “just fine” instead of more injuries.